Hi! I saw your post about your stator issues since I am having one of my own but I'm pretty certain mine is the stator. Anyways not why I messaged. I have been looking at the vance and hines longshots as my next set of pipes but they are only made for the sabre. I realllllyyyy like your bike and those samson pipes look great on it. 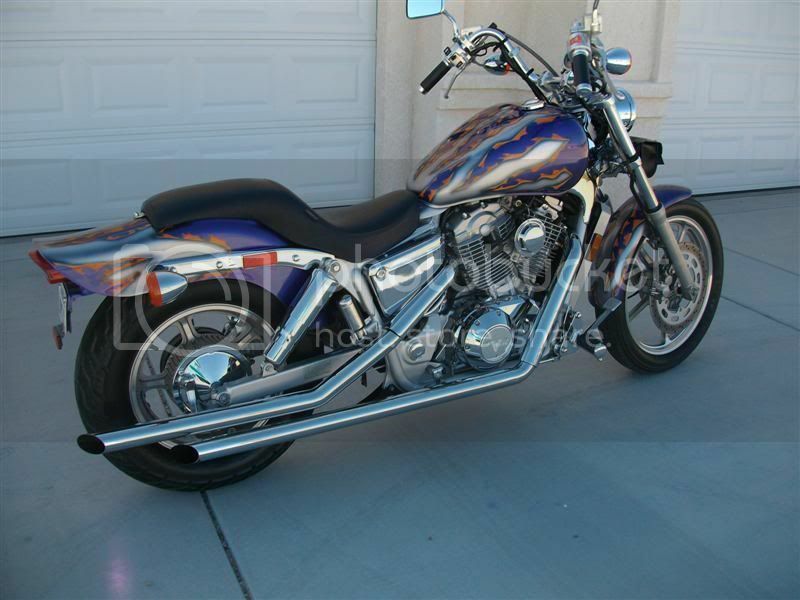 I am doing a blacked out spirit with ghosted airbrushing and want bigger bags so I need lower pipes. I was curious as to if you could point me in the right direction to get some pipes like yours? Or at least what the name of them are. All I seem to find from Samson are the 2-1 for the sabre. Thanks.